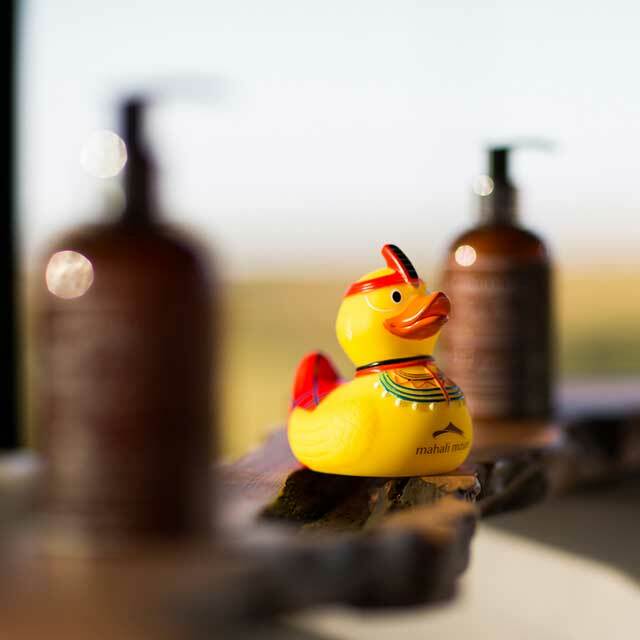 Mahali Mzuri means 'beautiful place' in Swahili, and we hope you agree! 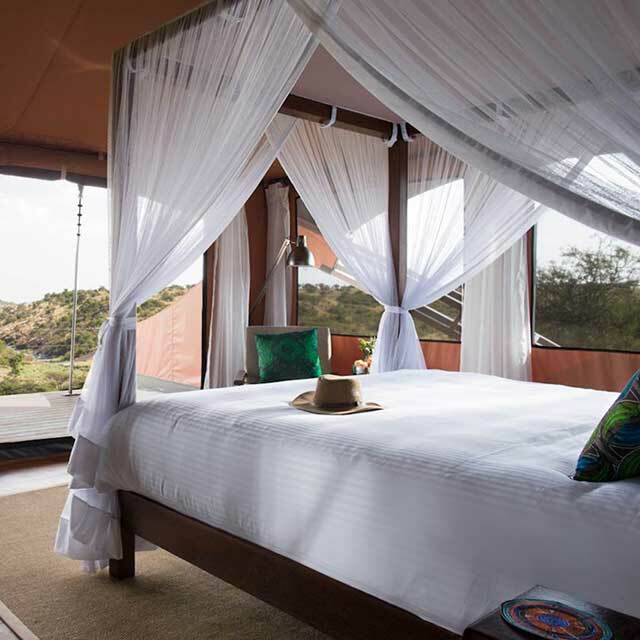 Mahali Mzuri is Sir Richard Branson’s 12-tented luxury safari camp located in the private Olare Motorogi Conservancy in the wider Maasai Mara ecosystem in Kenya. Due to Mahali Mzuri's excellent location on the Kenyan plains, you’ll have a front row seat, not just to the annual great migration, but also to the abundant game you can see all year round. During our twice daily game drives, you will have the opportunity to see lions, wildebeest, elephants, giraffes and cheetahs, but that's just for starters! 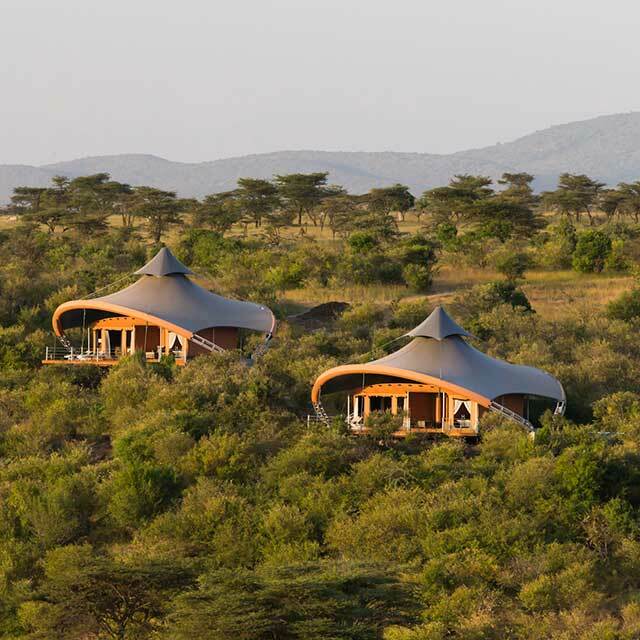 At Mahali Mzuri, our super stylish tented suites make for the perfect retreat during your stay. We can cater for up to 24 guests in the camp at any one time, so you are guaranteed peace and quiet, as well as excellent customer service at all times. Mahali Mzuri was voted as the 'Favourite Safari Camp' at the Condé Nast Traveller Middle East Reader's Choice Awards in 2017 and 2016, and came 2nd in 2018! We believe in making a difference at Mahali Mzuri, and we're committed to ensuring our core Virgin brand values translate into the best possible experience for our guests. Most of our team members are Maasai and hail from the communities surrounding Mahali Mzuri. Traditionally the Maasai depended on cattle herding for their livelihoods, but a number of jobs and development opportunities now come from the lodges and conservancies that attract visitors and tourists from all over the globe. It is well known that Sir Richard Branson has always had a personal love for Africa and has visited Kenya on multiple occasions. With this background the foundations for Mahali Mzuri were first laid in 2007, when in June of that year. Richard was made a Maasai Elder, a traditional honour the tribe chose to bestow on him in return for bringing prosperity to the land. The traditional ceremony, known in the Maasai language as ‘Ipayiani’, was conducted by the Maasai Elders in the presence of around 30 members of the local tribal community. Through a relationship with Jake Grieves Cook, formerly Chair of the Kenya Tourism Federation and now operating a partner camp in the neighbouring conservancy, Richard was made aware of a severe environmental threat to the Maasai Mara ecosystem. Jake proposed that Richard and a number of others invest in the area with a view to expanding the protected area for the benefit of both the local community and wildlife alike. With a Virgin Limited Edition commitment to operating a safari camp in Kenya firmly on the agenda, an area within the Maasai Mara ecosystem was identified just north of the Maasai Mara National Reserve, specifically in the Motorogi Conservancy. Every community member is receiving a stable income and is able to make better planning decisions for the future of their homes and families. Tourism operators can promote high value, low density tourism which creates less pressure on the environment. Both the community and commercial operators can appreciate the real value of effective conservation on conservancy land. This private conservancy is shared between five key Safari Camps and we are the only Safari Operators permitted to conduct game drives in this area. Together we have a code of conduct and conservancy agreement to protect the land from ‘over tourism and development’ which only adds to our guest experience. In total the number of guests allowed to stay in this area is 94. There are no fences between the Mara and Olare Motorogi conservancies, so there is fantastic game viewing to be enjoyed. 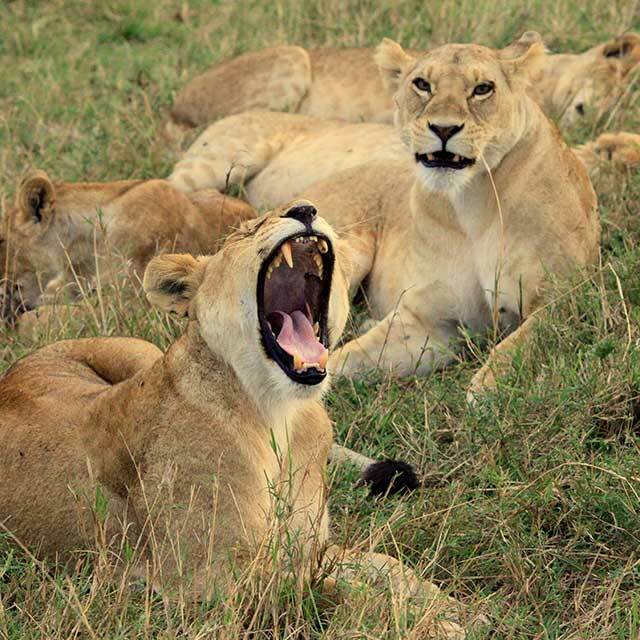 The Olare Motorogi Conservancy, is one of four established conservancies which together cover a total area of 63,000 hectares in the Greater Maasai Mara ecosystem, bordering the northern edge of the Maasai Mara National Reserve. The other three conservancies are Olare Orok, Mara North and Naboisho, and together all are helping to increase the protected area of the ecosystem by nearly 50%. Since 2006 a unique land management structure has been developed in the conservancies with a dual aim of extending the protection afforded to wildlife in the National Reserve to an even greater area whilst directly supporting the needs of some 1,550 Maasai families. Today we are seeing both the Maasai community and safari guests enjoying the true benefits of conservation of this land in a relationship that will see the ecosystem protected for many years to come. Are you ready for the start of your Kenyan adventure at Mahali Mzuri? Game viewing is naturally the number 1 activity guests at Mahali Mzuri enjoy the most. Who wouldn't want to witness the thrill of a hunt or see a baby warthog rolling in the sand? However, if you have time, make sure to head-out on a local Maasai community tour or indulge in a rejuvenating spa treatment. Wilson Odhiambo joined Mahali Mzuri as General Manager in July 2017. Prior to joining the Mahali Mzuri family, Wilson worked for six years at Singita Grumeti Reserves in Tanzania as Lodge Manager, looking after the day-to-day running of the camp. With over 15 years of experience in the hospitality industry, Wilson brings with him a wealth of knowledge and true passion for delivering excellent customer service. When he is not busy in camp, Wilson is a keen cook and sportsman, often seen cheering on his favourite football team, Manchester United. Here at Mahali Mzuri, we are currently supporting the Enkenju - Enkoirien Primary School, located about 4kms from the Mahali Mzuri camp in NAROK county, AITONG town. The school currently houses 120 students, aged between 4-14 years. Donations from local businesses have helped to fund essential items such as solar lights, computers and printers, while local communities and guests have provided stationery including; books, pens and pencils, beads for bead-making, maps and Dictionaries. All contributions are a big help towards encouraging young children to go to school for a formal education. For game viewing the Olare Motorogi Conservancy has abundant wildlife year round, and Kenya’s position straddling the equator means there isn’t a huge amount of variation in temperature throughout the year. You can expect average highs of 30° C/86°F from December to March with cooler temperatures from July to September during the height of the migration. The key in the bush is layering, as even with the sun shining you may find that it is a little chilly on game drives. In the warmer months go with a windbreaker, hat and sunglasses , then a light padded jacket for the evenings. For the cooler and wetter months take a jumper/ sweater, scarf and a fleece or warm jacket. On game drives, it's best to wear pale or neutral colours and a pair of closed shoes. Around the camp you can wear whatever you like, and while formal wear isn’t always practical, of course it’s up to you. Make sure you remember to pack your swimsuit for around the pool.